Booking and Selection Process for the annual Kailash Manasarovar Yatra 2018 organized by the Ministry of External Affairs, Government of India, has begun. The Kailash Manasarovar Yatra is open to all Indian citizens, above 18 years of age and not attained 70 years, who wish to proceed to Kailash Manasarovar in China for religious purposes. Applications are available now. Last Date of Online Application is March 23, 2018. Kailash Manasarovar Yatra conducted by the Government of India includes visit to Mount Kailash – the abode of Lord Shiva – and Manasarovar Lake. According to Hindu scriptures, those who take a dip in the Manasarovar and complete the parikrama (circumambulate) around Mount Kailash are absolved of their sins and are liberated from the cycle of birth and death. They are ultimately united with Brahman (symbolically represented by Mount Kailash or Shiva). Kailash Manasarovar Yatra Yatra is extremely arduous (more so than the Vaishnodevi / Amarnath routes), involves trekking at high altitudes up to 19,500 feet, under inhospitable conditions including extreme cold and rugged terrain and may prove hazardous for those who are not physically or medically fit. 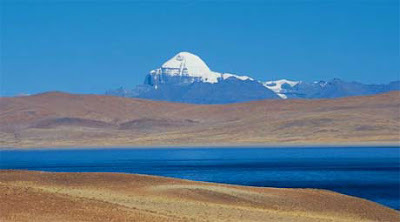 The Indian Mountaineering Foundation has recognized the Kailash Manasarovar Yatra as a trekking expedition. There is a considerable element of risk to life and property. How to apply online and other details regarding online application can be found here. Last date of online application is March 23, 2018. - You can get all information here at the official website of Government of India including Online application. Selected applicants would be informed through automated messages to their registered email id / mobile number after the computerized draw of lots.